Sometimes the best simple frugal living tips are not what we can do but what we should stop doing. These are my top tips on what you can stop buying or eliminate altogether and save big! When you have been trying to live frugally for any amount of time you probably think there is no wiggle room left in your budget. Not even for simple frugal living tips. Heck, I even thought that myself. Hubs and I have been married almost 30 years and I think we spend our money pretty consciously and do very little blind spending. Blind spending is whipping out the credit card and charging purchases without a second thought or concern. Something I used to be a pro at. If you are already cutting back on expenses but still need to cut back even more. How on earth do you do it? Well, the easiest way is to find things you can do without or better yet make at home and stop buying altogether. Yep, this post is all about those things we should stop buying so we can save money. Now, because I know we are each on our own level of frugalness that means our comfort levels will be different too. Don’t worry, I got your back. Below I have broken things up into beginner, intermediate and Frugal ninja tips. Tackle the list that you are most comfortable with and watch your savings add up. Simple frugal living tips for the beginner. Do without and save. Starbucks coffee. Now, I am not just talking Starbucks, I am talking any coffee that isn’t made at home. Get yourself a travel mug and take your coffee with you. This one tip will save you hundreds of dollars every year. HUNDREDS OF DOLLARS! Yep, invest a few bucks and get a good reliable travel mug that actually fits in your cup holder in your car. Fill that baby up with some delicious hot coffee before you leave the house and you are good to go! Bottled water. I yell at my kids all the time. Water is free!! There is no reason to ever pay for it. (unless of course, you do not have drinkable water in your home, then you have a whole nother issue you need to deal with first.) Not only that, but those bottles are nothing but bad news for our landfills. Buy a good, safe BPA free bottle and fill it up before you leave the house. Paper plates. Time to get real. Paper plates are a silly luxury if you ask me. If you are living paycheck to paycheck this item shouldn’t even be on your radar. 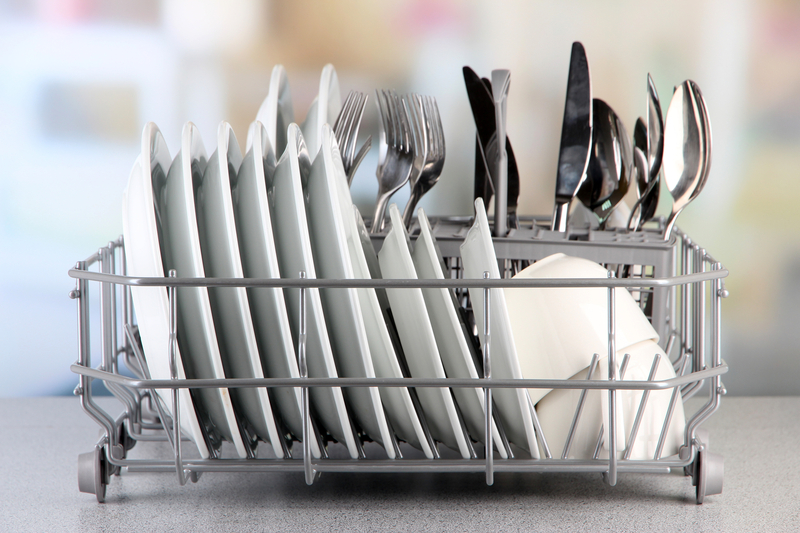 It only takes 1 minute to handwash 6 plates. Trust me I did the legwork. Skip the paper at the store and use your plates instead. ATM fees. We like to keep cash on hand in our home at all times. This really keeps us to stay away from the ATM and eliminates those fees that can sneak up on you. I suggest you also keep a ledger with your cash. Before taking money out, write down what it’s for. This extra accountability step will help you to think twice before just spending. Baskets. Do you like to organize with pretty baskets? I know I do! Instead of buying a basket why not cover a box in pretty paper and attach a handle and label. A nice alternative and costs nothing. You can see some ideas here on my Pinterest board. Food storage containers. When you are finished with a jar of mayonnaise or jelly, wash it out and use it to store food. If you are a canner, canning jars are perfect for storing foods and leftovers. I love canning jars and how nice they look in the pantry. Use them to hold your pasta and rice. No more flimsy boxes that can make food stale. Simple frugal living tips: Cut the directions and put in the jar. Use masking tape to label the jar with what is inside. Simple frugal living tips for the intermediate saver. Do without and save. Lunchables. Kids love these things and it’s just crazy how much stores charge for them. Buy a couple of these containers and make them yourself. Now you can custom make healthy Lunchables for your kids. And now you can add notes and special treats just for your kids. Dishwasher rinsing agent. Oh, you are going to love this one! Instead of the expensive rinse agent use white vinegar instead! Does the job just as well for a fraction of the cost. Who knew?! Magazines. Did you know that most of the magazines you read can be read online for free? Not all, mind you, but most are there. Do a search and see if yours has a free version you can read instead and cancel your subscription. A second option is the library. The last time I was there I checked and the selection was impressive! Newspaper. The same is true for some papers. Look online to for the newspaper’s website or see if they have a Facebook page online you can read rather than the paper. Books and movies. My favorite place to visit is the library. My goodness, books for days and all free. What’s not to love!! Did you know you can rent movies for free too? You sure can! Next time you are there check out the selection. Movies, audiobooks, even music all free for you and your family to enjoy. You can also get free books on Overdrive if you do not have access to a library where you live. Salad dressing. This is one of those convenience foods that is better to make than buy. You can really spice up your dressing and make it as you need it. Fabric Softener. Rather than buy the expensive fabric softeners, just use white vinegar instead. It does amazingly well at keeping your clothes soft and static free. It also does great if you have soap buildup on towels and kitchen sponges. Take-out pizza. I LOVE homemade pizza! It costs just pennies to make and you can put anything on as a topping without getting charged an arm and a leg. If you have young children at home, let them make their own mini pizzas and start a weekly Friday tradition! Simple frugal living tips for the Ninja Saver. Do without and save. Paper towels. I stopped using paper towels a few years ago and I haven’t missed them one time. Old cut up t-shirts are a perfect replacement for paper towels and work great for cleaning. If you have a spill then a damp rag or sponge will work better here. If you are looking to clean mirrors or windows, then newspapers work the best and leave no streaks. Winner! Paper napkins. Just like with paper towels, this is an easy one to stop buying. Cloth napkins are cheap to buy and even easier to make. I have found some at yard sales for pennies each, and some of them I have been using for over 15 years now. How is that for a good investment! Cable or satellite television. Don’t skip over this one, in this day and age it is much easier to do without than you think! If you bundle then no this may not be an option for you, if you don’t bundle I urge you to give this a try. If you are a satellite TV subscriber, you can do a test run by putting your subscription on vacation mode. We canceled Direct TV years ago and haven’t looked back. This one simple furgal living tip saves us over $100 dollars a month! Paying to eat out. With all the programs out there that give you points or even money for surveys or shopping, there is no reason to pay for dinner out. I love Ibotta and get hundreds of dollars in gift cards every year. It’s free to sign up, you get money saving coupons for grocery shopping, and cash in your account when you upload your receipts. It’s easy and a super simple way to pay for dinner. Toys for your kids. Rather than buy new toys for your young children why not instead do a toy swap with your friends. Pull out a few toys that your kids no longer play with. Invite your friends over with a bag of their own toys. 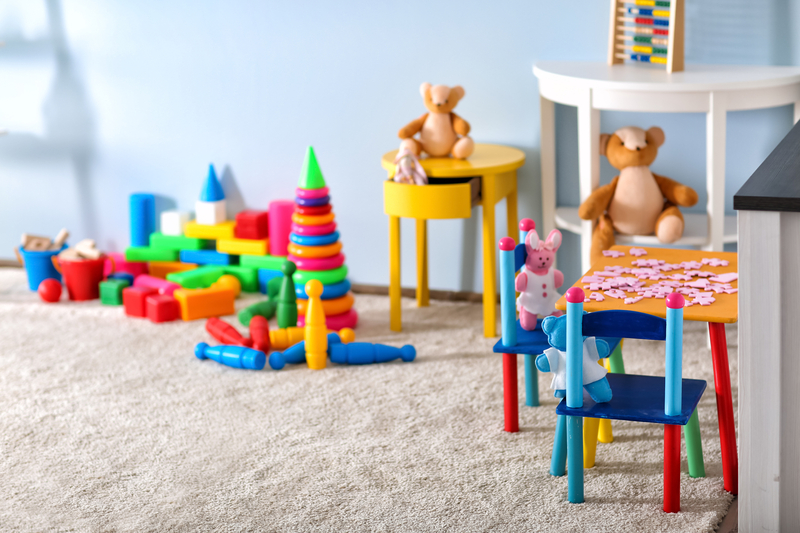 Lay everything out and fill up a bag of new toys for your kids to enjoy. FOR FREE!! Courses. More and more libraries are beginning to offer online courses for free. This amazing resource is one that should not be overlooked. Ask at your local library and see if this is something they offer. Fresh produce. Maybe it’s time to start a garden. Sure, it’s a time and work investment but when you have access to fresh delicious produce the investment is definitely worth it. Take this tip one step further and preserve as much as you can. 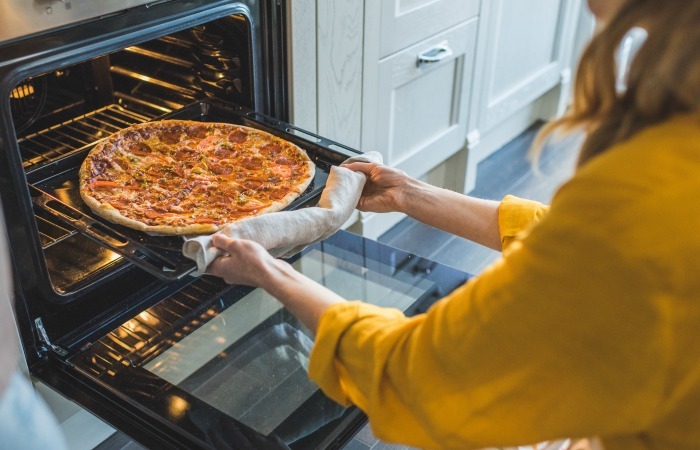 Fill that pantry with delicious foods that you can enjoy year-round. Remember, these are Ninja simple frugal living tips and not for the faint of heart! Lunch meat. It is simply crazy what a grocery store charges for meat at the deli counter. Instead, purchase an end cut of beef or ham and have the butcher at the store slice it for you or take it home and slice it there instead. Shredded cheese. This is another convenience food that you can easily skip over at the store. Buy in bulk and shred the cheese at home. Freeze in smaller portions for easy use. Detergent. I have been making our own detergent for years and at a fraction of the price. It is so simple to make and works amazingly well, even on our farm clothes. This is a fav of all my simple frugal living tips. Cleaning supplies. Just like with our detergent we make our own cleaning supplies as well. Once you purchase a few main ingredients the sky is the limit for what you can make. Cookies and lunch snacks. Make it don’t buy it is my motto here. Set up a baking day each week or even month. Make enough for your kid’s lunches and package up so things are ready to go. Muffins, cupcakes without icing, brownies, and cookies are all great treats to put into lunches that cost a fraction to make from scratch. If you are looking for even more ways to save you can check out this post over at my friend Carly’s blog mommyonpurpose.com on Easy Ways to Save Money. I like the way this girl thinks! Simple living and frugal living go hand in hand. Take a cue from our grandparents and save. By doing more and buying less we will get a better handle on our finances. I don’t know about you, but I work hard for my money and I am going to do all I can to keep as much of it as I can. 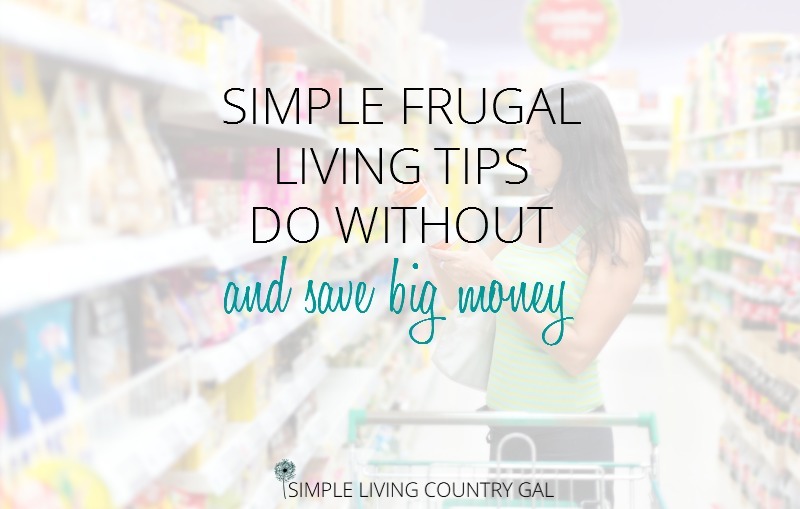 Simple frugal living tips are the key to saving big money. 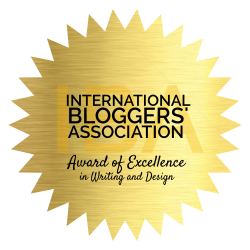 You can find this post and more over at my favorite Blog Hop!!! 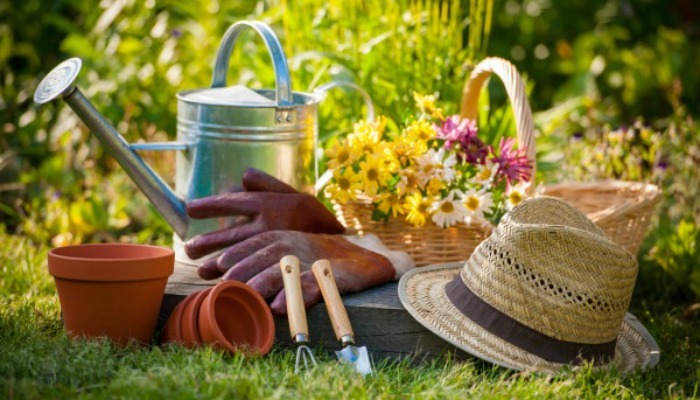 « Spring Clean Your Finances and Give Yourself a Financial Turnaround!